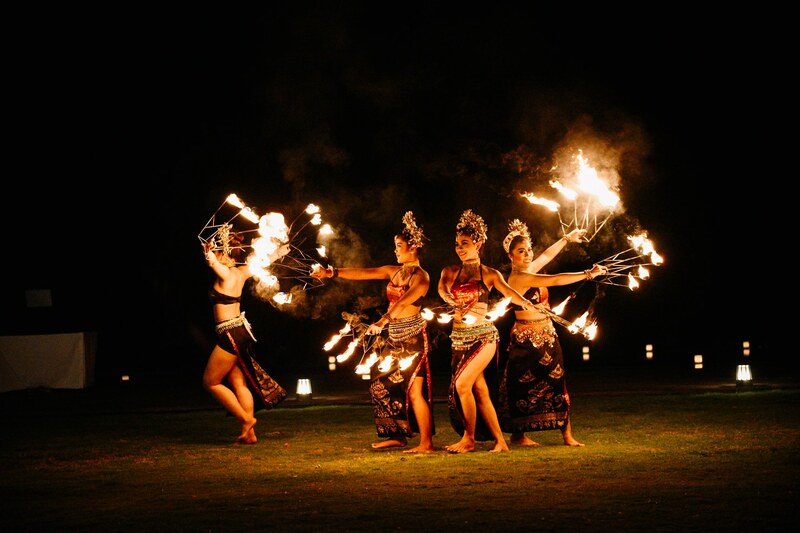 Hiring Bali Fire Dancers for your function or event is the perfect way to create a magical and memorable experience for your guests. 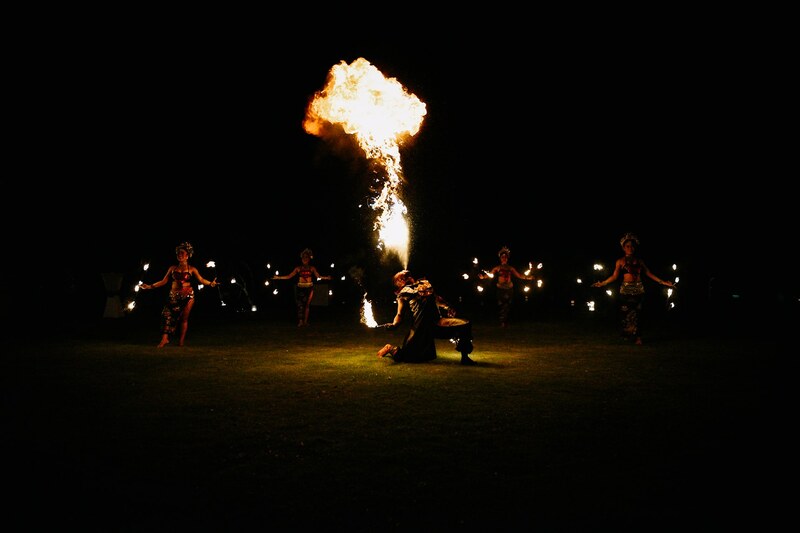 Fire Dancing creates a special atmosphere that will take your event to new heights. There are twelve different package options to choose from. Please fill out the contact form at the bottom of the page to book us for your event. Fire Chain, Fire Candle, Fire Dragons, Fire Fan, Fire Hula Hoop, Fire Chakra, Double Staff, Fire Breathing. 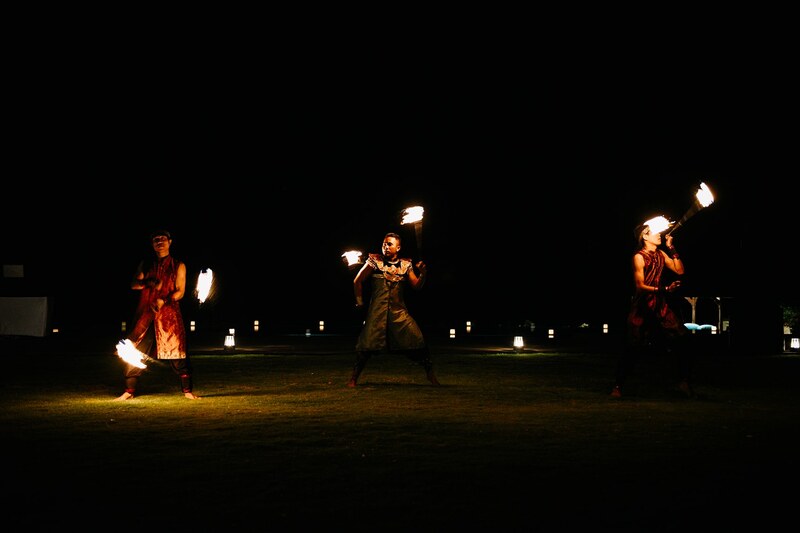 Fire Chain, Fire Candle, Fire Dragons, Fire Fan, Fire Hula Hoop, Fire Chakra, Double Staff, Fire Breathing, Pyrotechnics. 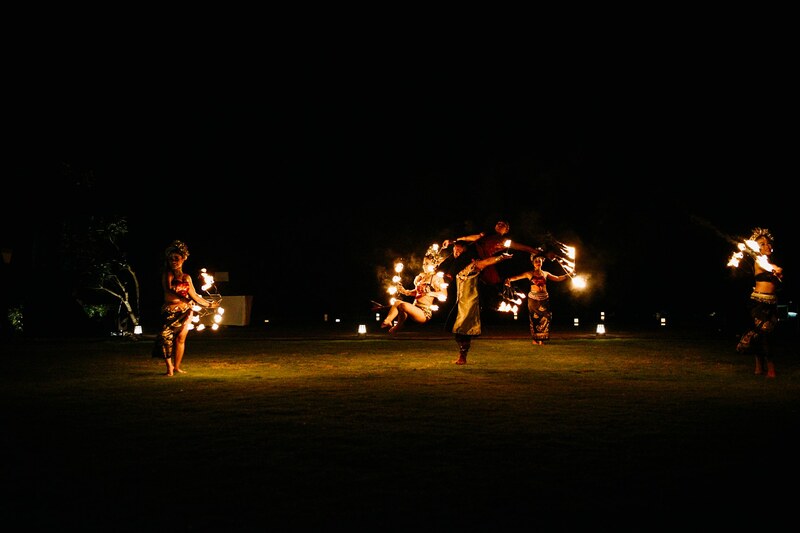 The various apparatus used by Bali Fire Dancers are borrowed from a number of sources. 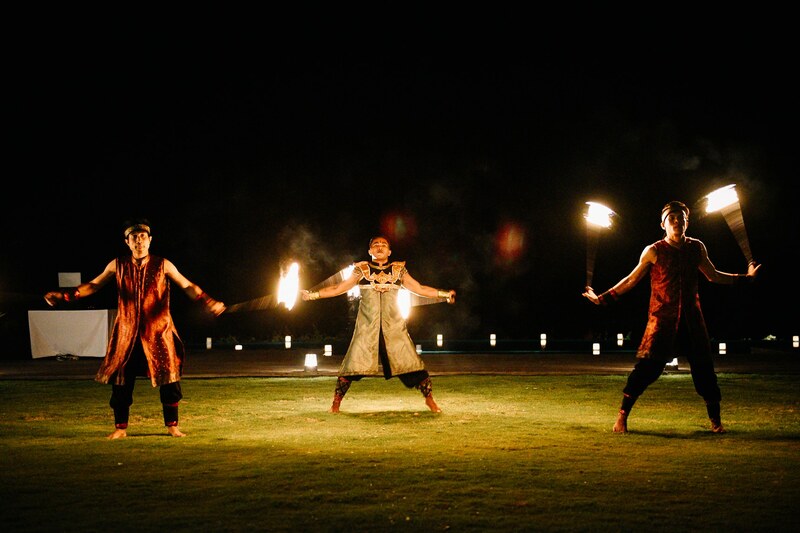 Many are from martial arts sources such as swords, staves, and whips and some are specifically designed for fire dancers. The use of these apparatus is limited only to our imagination. Some tools lend themselves to rhythmic swinging and twirling, others to martial arts, and others to more subtle use. Listed below are the apparatus we use. A pair of roughly arm-length chains with handles attached to one end, and a bundle of wicking material on the other end. These are small torches with a flat base meant to be held upright in the palm of the hand. An metal pipe ranging from 6-7 feet long with wicking material applied to both ends. Staves are used individually, in pairs, and with three or more staves. Incorporation with juggling two or more at the same time is also possible. A lot like the Poi, the Fire Dragons have a short 3-5 inch chain attaching the handles to a 12 inch or longer rope. Fire fans are a large metal fan with one or more wicks attached to the edges. 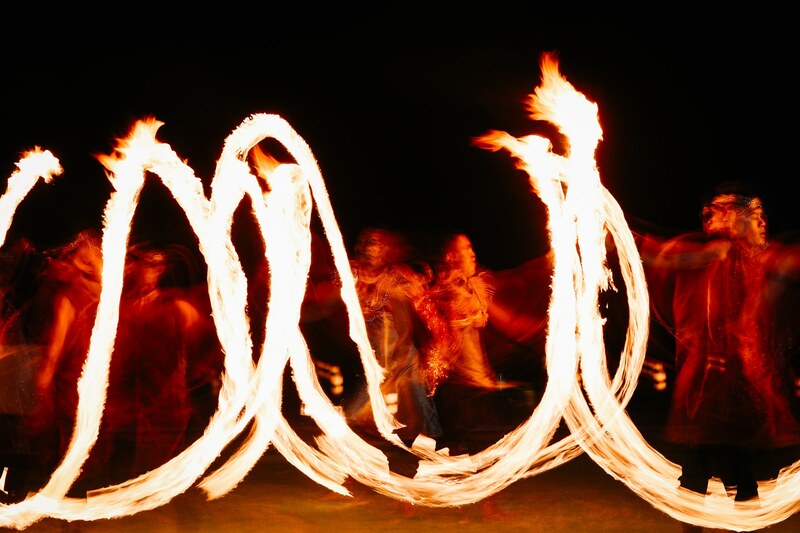 The fire Hula-hoop is a hoop with spokes and wicking material attached to the ends. 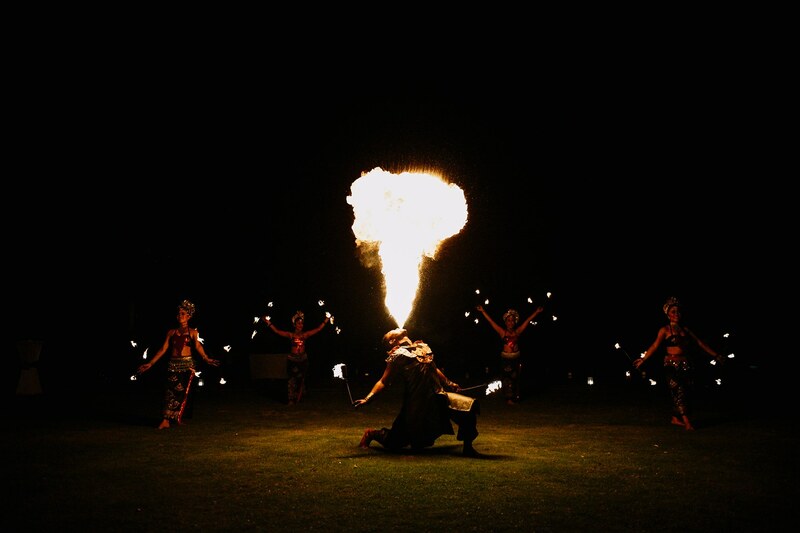 Fire breathing is the act of creating a fireball by breathing a fine mist of fuel over an open flame. 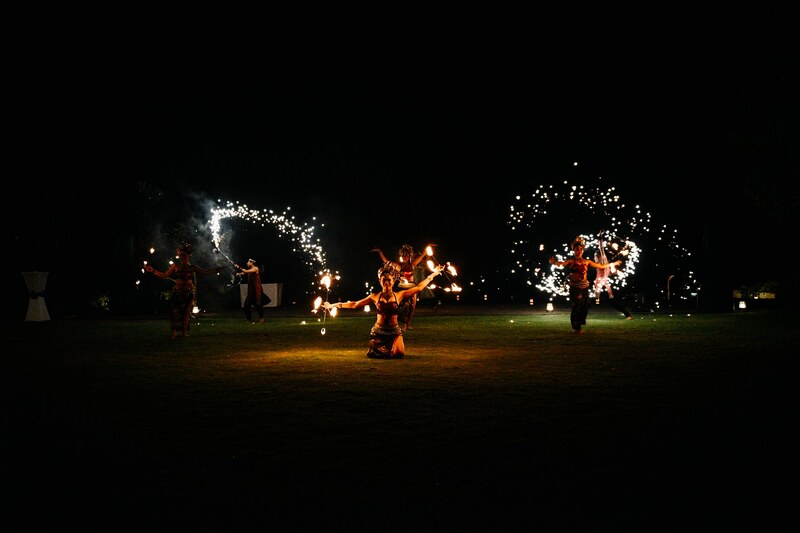 As a grand finale pyrotechnics are used on the ends of our apparatus. 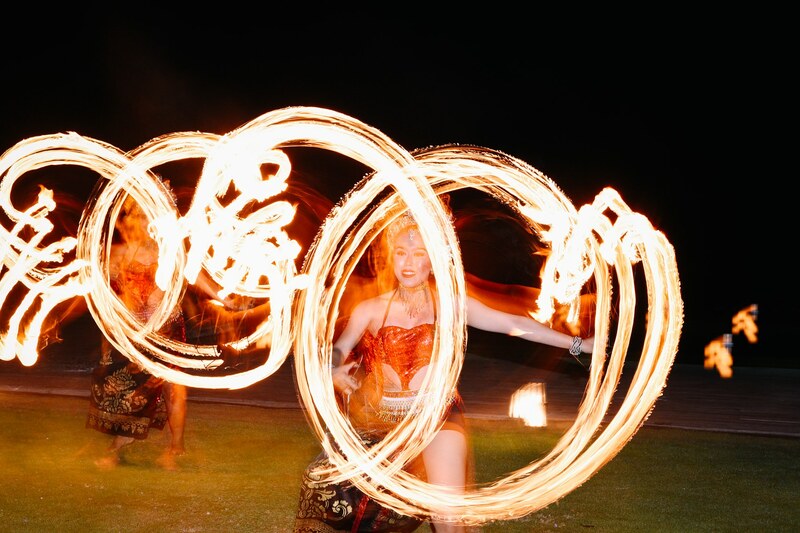 Mainly the Fire Hula-hoop and Fire Chain. 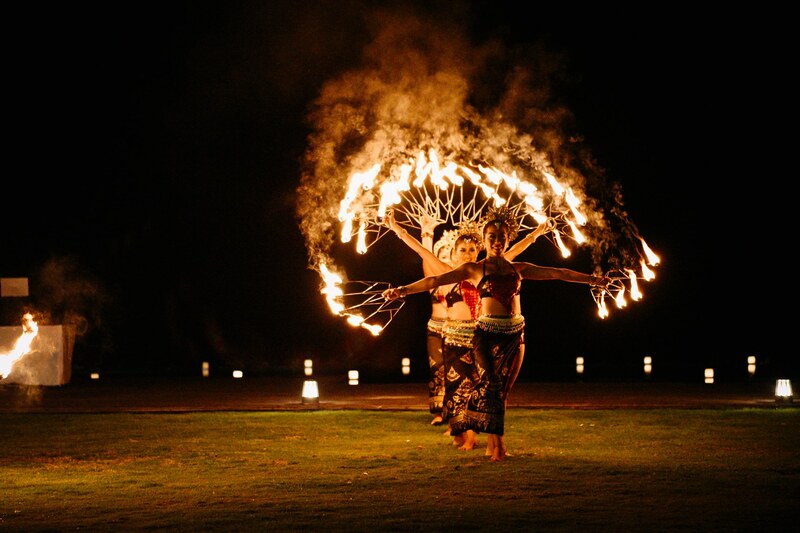 Bali Fire Dancers was established in January 2010. 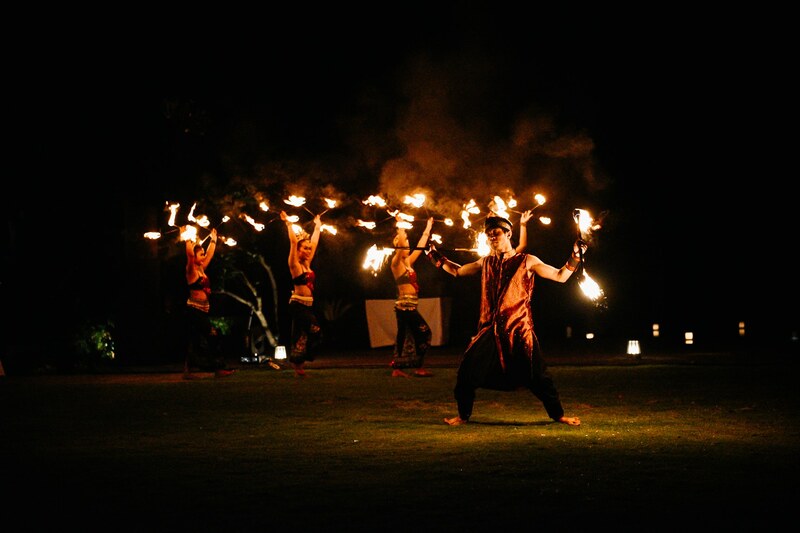 Starting out as a hobby and self entertainment, Bali Fire Dancers developed into a Professional Performance Team. Today we have more skilful and professional Artists in our group, we create a combination of acts, dances and performances without putting a side our main concern of: Safety First, High Quality Equipment, Skills, Music and Costumes.